A Morex best seller and part of our holiday value line, Swirl is sure to impress! A wired sheer ribbon, featuring a glittered swirling design, is available in 8 dazzling color and some are available in two popular widths! Create beautifully decorated wreaths, trees, mantels, packages, weddings, themed parties and more! 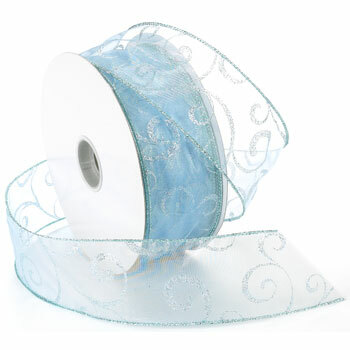 So versitile and the economical price and put-up make this the perfect ribbon for large projects and events!